Adobe Story is an application developed by Adobe Systems Incorporated. We know of versions 1.0, 1.0 beta. Version 1.0.1142 is available for free download at our site. Adobe Story distributive has a size of 11,526,305 bytes. 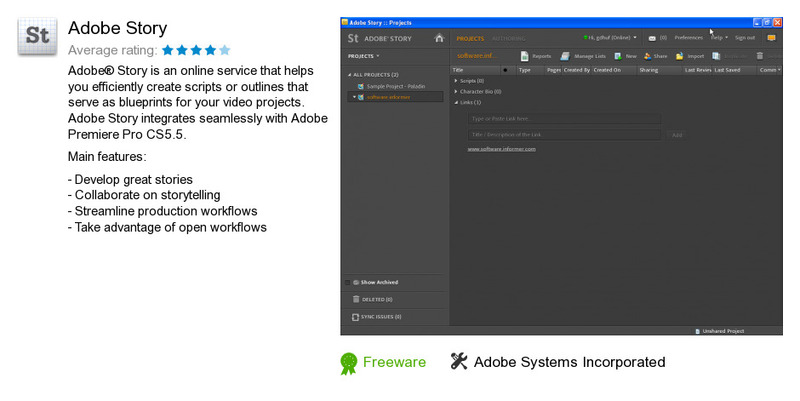 Adobe Systems Incorporated also publishes Adobe® Flash® Player Plugin and Adobe Illustrator CS6.